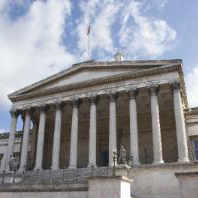 UCL's international rankings among research-output repositories has been revealed. The Eprints repository, run by UCL Library Services, houses the deposited research outputs of UCL researchers. The full text of the UCL return to the 2007 Research Assessment Exercise will be deposited there where copyright permissions allow. Globally, there are two kinds of repositories - those based in universities (institutional repositories) and subject-based repositories. A new world ranking of both types of repositories has been produced by Webometrics. This is an initiative of the Cybermetrics Lab, a research group belonging to the Consejo Superior de Investigaciones Científicas, the largest public research body in Spain. UCL's position among European institutional repositories is 6th. Repositories are good for research and good for the researcher because, as Open Access repositories, they give greater visibility to an individual's research. UCL has performed very well to attain such high rankings when its repository is still relatively new. The rankings will be refreshed every six months and it is to be expected that UCL's position will rise as more material is added to the Eprints repository.